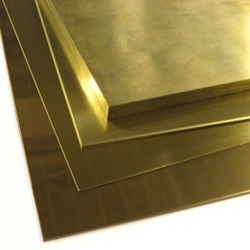 We are a leading Wholesale Trader of brass sheet from Pune, India. We are a remarkable entity, engaged in offering high-quality Brass Sheet. Our offered sheets are manufactured by deft engineers in compliance with defined industry standards at our trustworthy vendors' end. Moreover, these sheets are highly in demand across the nation owing to their sturdiness and excellent finish. These sheets are examined on diverse predefined measures of quality to ensure their flawlessness. These sheets are made available in the different specification at industry leading prices.